This is what I predict will be this build's update for now. This is not tested and as such, I have (likely) gone overkill on defense based on some experiences with the new AoM content (and playing the character pre-expansion) and will likely be toning it down a bit if I find it to be much. I have also tried to put it together with a minimum of MIs or tough to acquire affixes so keep in mind that better boots and legs would improve things by a good amount. This is an unoptimised and untested build for Fire/Lightning Callidor's Tempest that makes use of Mythical Stormseer Sapphire and Cindertouch's conversion. This was put together by Chthon and added with his permission so all credit for it goes to him. So, the basic idea for this came when I realised that Callidor's Tempest has a higher amount of base Fire than Aether, and with the Burn damage from the modifier, surely a character geared for Fire should be easy. Well, a big issue is that almost every piece of gear that supports Callidor's is mainly Aether or more Aether than Fire, flat Aether is everywhere and abundant. Therefore, we use a pair of Invoker Burning Hands to convert around 30% of all Aether to Fire - that means Aether on skills and flat Aether damage now becomes an additional source of Fire to funnel through Callidor's. Noticeably, this also converts some of the flat Aether already on Callidor's to more Fire. The conversion is a start but we need more. So, we stack flat fire from various sources to amplify Callidor's fire damage potential. Flame Touched is a big and main source. Thermite Mine: -40% Fire Resistance. Blackwater Cocktail (Eldritch Fire): -25 to all through Agonizing Flames. -20% Fire Resistance through Eldritch Fire. Ulzuin's Flame: -15% Fire Resistance. Warpfire: -20% Fire and Aether. Chaos Strike (Viper): 20% Reduced target's Elemental Resistances through Viper applied at 100% potency. Besides Viper's reduction, This leaves us at -120% Fire Resistance and -45% Aether Resistance. Callidor's Tempest: Our main single target and AoE. Mirror of Ereoctes: Lifesaver and enables us to facetank for it's duration. Nullification: Removes enemy buffs and debuffs on you. Also lowers enemy Elemental Damage. Use it to strip enemy auras or get nasty DoTs or resist lowering debuffs off of you. It will make your life easier. Blackwater Cocktail: Provides -18% physical damage taken in addition to it's resist reduction. Flashbang: Provides crowd control and reduction to enemy OA. Thermite Mine: Debuffer via resist reduction. Chaos Strike: Used for entering and leaving melee range or crowds at will. Also procs Meteor Storm. Iskandra's Elemental Exchange: Source of +% Critical Damage. Reckless Power: %pFire/Burn, Casting Speed, additional flat Fire through Aether conversion. All around good. Maiven's Sphere of Protection: Mainly for it's modifier - Conversion. Provides a nice chunk of stun resistance to cap it off for us, some other nice resistances to crowd control effects like freeze or slow and a bit of damage absorption from the skill itself. Flame Touched: Provides OA, flat Fire Damage and % Fire Damage. Vindictive Flame: Provides some % Total Speed. Void-Ward Aura: Provides needed Bleed/Chaos resistance. Fire is the main focus here, while levelling Aether isn't bad either. It isn't a bad idea to look for health, DA or resists either to keep yourself alive. There arn't any important pieces that are crucial to the final build except perhaps Warpfire and the Peerless Eye and even then, only because they allow more points to be placed. This should be obvious. Enough points to equip the focus and the rest into Physique. 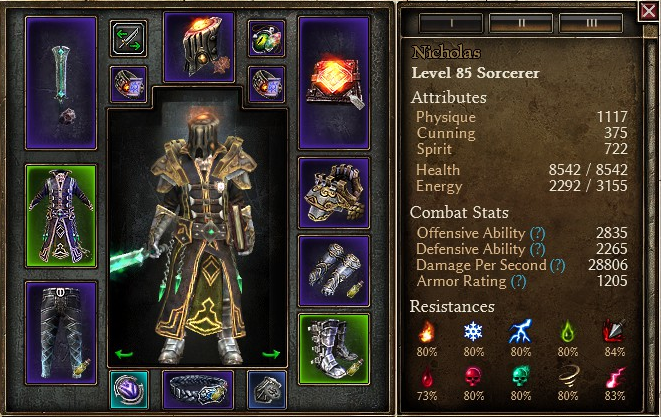 The final build in the grimtools above has all points into Physqiue as our gear/devotion provides just enough. Chaos Strike to start Meteors, throw out Flashbang and Cocktail for packs and heroes and spam Callidor's. Use Thermite Mine and Chaos Strike as it's on cooldown to speed up Hero or Boss kills and keep an eye on your health. Mirror if you drop low or alternatively, use it offensively. Some other similar ideas for Callidor's builds will go into this section that might bare mentioning. The original concept for this build was to use Temporal Tempest and the Aetherstorm Amulet to convert a significant portion of all Aether to Lightning and now, with the change in 1.0.1.0, a pair of Invoker's Shocking Touch in addition to the aforementioned items will allow 100% Aether to Lightning. Keeping in line the idea this build uses of using conversion and stacking flat damage to change and empower Callidor's. There is also the possibility of using the Black Flame Mantle to convert a chunk of Aether to Chaos and the Blood Orb of Ch'thon to convert Callidor's Fire to Chaos as well. Occultist also has a large amount of flat Chaos through Solael's Witchfire, Possession, Storm Spirit's Elemental (to my knowledge) can also be converted to Chaos and there is more to be found and converted on the Arcanist side through Iskandra's Elemental Exchange and Fabric of Reality - plenty of opportunities. Though, you don't gain much from the Burn on Inferno and i'de say it's overall outclassed by Aether as 100% Chaos to Aether and 50% Elemental to Aether gets better returns. Gearing for Chaos damage also does not support Callidor's very well, it may be mandatory to use a +5 Badge of Mastery for example to reach high levels of Callidor's on a Chaos build. The power of transmuted CT comes from Inferno burn dmg. You can replace your current weapon with Warpfire for more RR and +skills and for %RR use viper. Are you using this build for crucible with that devotion setup? Whether crucible or vanilla you should consider meteors. Things will die much faster so you will receive much less damage. Might be poor wording choice on my end but I'm using untransmuted CT .
As cute as the idea was of using converted Lightning, it probably is worth dropping the Dagger for a Warpfire and the Aetherstorm pieces for something else and ust going all in on Fire. Completely forgot about Warpfire's resist reduction too. I'll have a look at moving devotion around to take Meteor Shower but a big thing is that it provides me with the health that I need. Early on, some prototypes had as low as 6 600 health before i moved things around like swapping in a Lifegiver's Signet or taking the health nodes in Targo the Builder. Normally sorc with CDR is fine by timing mirror and blast shield, especially in main campaign. But if you want more consistent defense it's worth looking into Tree of life. for decent regen and the heal proc will occur often with your CDR. It's what BWC sorc use in a more defensive setup. 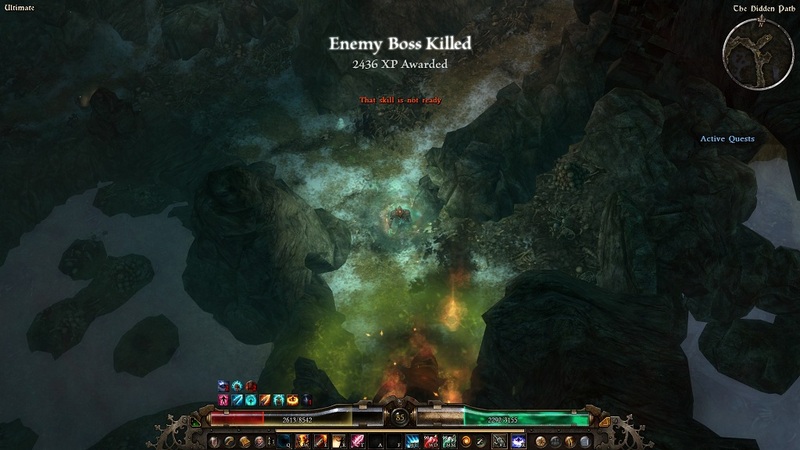 Another thing is that transmuted CT will only heal you a little vs mobs with your life steal. Sorc needs "portable" healing power so I would consider trying judicator signets+ mark of divinity for the regen. Judicators also solve the %rr problem. You can replace an enchanted flint with a Rift stone for mobility and to fully apply the %RR too. Combined with tree of life or giant's blood(also great with CDR) will give you surprising staying power. It's what i did on my mortar trap/devastation sorc and this setup can face tank Sharz in main campaign (using giant's blood for heal in devotions and also have meteor shower). It's worth losing a bit of damage in return for the ability to feacetank or not kite too much. Last edited by Superfluff; 06-07-2017 at 11:44 AM. Something like this? It definitely seems more tankier than what i'm rolling with currently and doesn't look it'd lose too much power either. Tree is welcome as i'm occasionally having to chug Elixirs to keep up with energy. Edit: This is with the MIs i have right now btw. I could probably look at getting a better set of Solael pants or something else. If you need a look on how to get tankyness and meteors maybe this helps. Viper is there only for devotion sustain and OA. I also use Star pact instead of Reckless power for the huge CDR. This has a huge impact on Devastation, Giant's blood, Blast shield and Mirror. I'de never get MIs that good in my life . Thanks for sharing the build and for the suggestions, making this character tankier is just what I needed. Last edited by Chthon; 06-07-2017 at 03:05 PM.